Book overview: The book is focused around photos taken at the Jean De Dobbeleer car dealerships in Brussels, Belgium in the period 1957-1961. 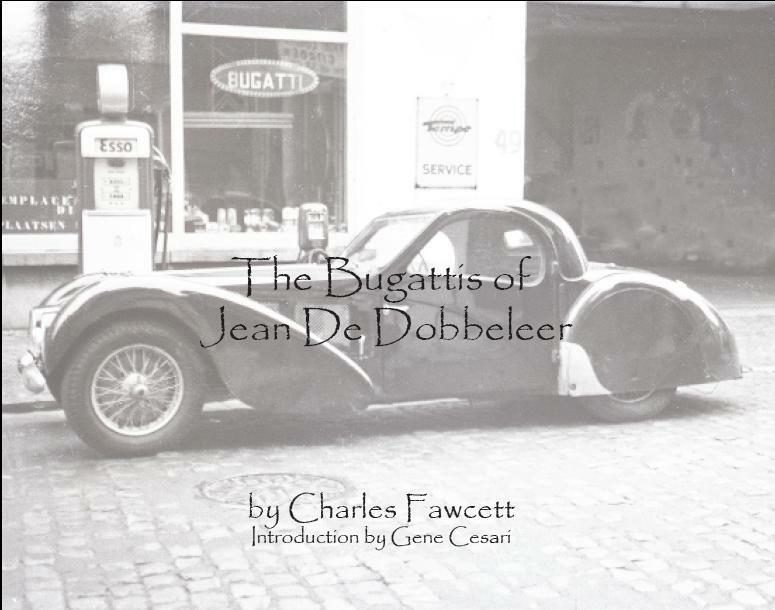 De Dobbeleer specialized in Bugattis, and it is generally accepted that he bought and sold more Bugattis than any other entity. These photos are historically significant because most have never been available to the public before. The photos are primarily of Bugattis, but a few of other marques are included such as Alfa Romeo and Hispano-Suiza. Whenever possible, descriptions of the cars are provided, and a brief history of the rarest models is also presented. There is a brief biography of De Dobbeleer, including a touching letter from his daughter. Preview copies of the book were sent to key Bugatti enthusiasts in the U.S. and Europe, and there has been nothing but high praise for it. 192 pages printed on 100# high gloss white paper with 370+ photographs. 9 X 12 landscape format. Hard cover with Kivar 7 simulated leather covering imprinted in silver. The binding is Smyth sewn for maximum durability. The dust jacket is printed on 100# paper and laminated in plastic to be tear and stain resistant. This is the finest dust jacket available. The book weighs just over 3 lbs. and the shipping weight of a single book is 3.5 lbs in a specially designed shipping box. The books are individually shrink wrapped for added protection during shipping and storage. Jeroen Vossen www.octagonfox.com is selling them in Europe. The books are also available at Autobooks-Aerobooks in Burbank, California and Vintage Motorbooks in Portland, Oregon.